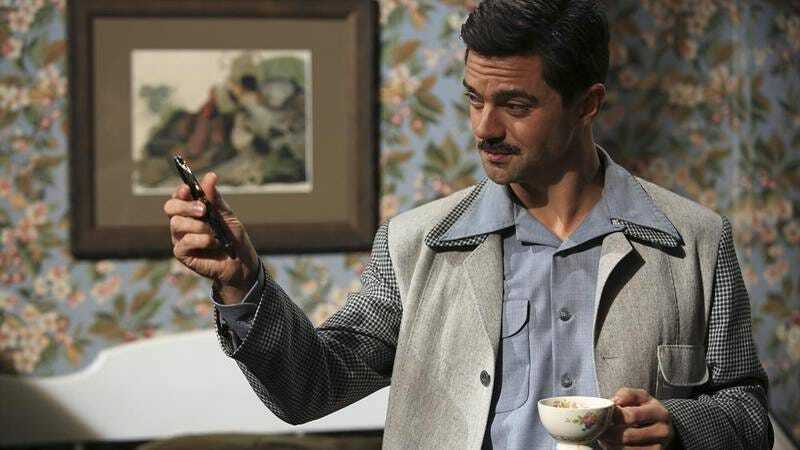 AMC’s upcoming TV adaptation of Preacher, executive produced by Seth Rogen, has finally landed its leading man: Dominic Cooper. Preacher follows Jesse Custer (Cooper), a small-town Texas preacher who merges with a creature from heaven which gives him the ability to compel anyone to do anything he says. Ruth Negga will co-star as Custer’s ex-girlfriend Tulip, who joins him and an Irish vampire named Cassidy (portrayed by Misfits’s Joseph Gilgun) on a journey to track down none other than God. Ian Colletti will also appear as a character named Arseface. And nope, this storyline isn’t the result of Rogen’s allegedly smelly weed—it’s all based on a ’90s comic book series created by Garth Ennis and Steven Dillon. Cooper steps into this new role after starring in another comic book series slightly more grounded in reality, Marvel’s Agent Carter, on which he reprised his Marvel Cinematic Universe role as Howard Stark. Production on the Preacher pilot begins this summer.